and more importantly, BIGGER pictures and a CUTE font! Yes, my name is Lorraine and I am a fontaholic. Anyway, I am only posting because I want to join in on the Will and Kate fun. 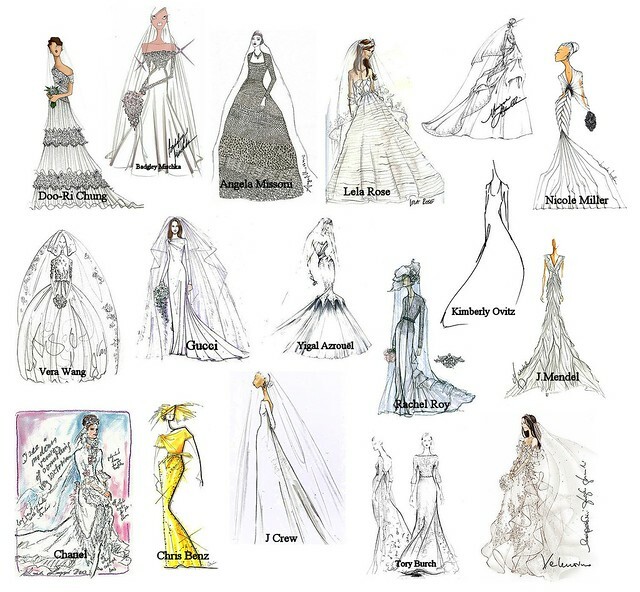 I found this wonderful blog with a post of pictures of some of the wedding gown designs that were submitted. Which do you think Kate will choose? Which would you choose for Kate? and will opt for a more streamlined silhouette...I like the J Mendel for her. and links to more Will and Kate fun! 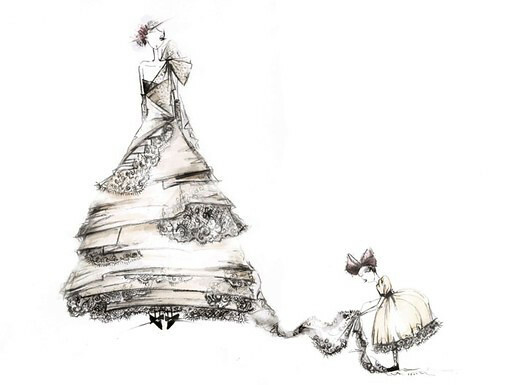 It would be so difficult to chose a dress for Kate. I think it should be elegant and princessy at the same time. A difficult combination. I think most of them are too matronly looking. I think Kate should have gone on "Say Yes To The Dress". She could have chosen that strapless get up with the lace midriff that shows skin. I think 25% of the girls on that show pick that one. Happy sighs! They are all so lovely. But her shoulders will be covered for sure. At least by lace.